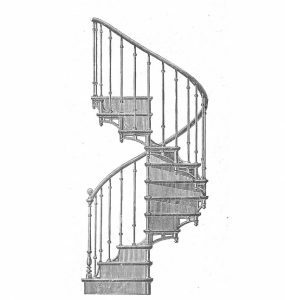 This staircase was made by the company Jay & Jalliffier from Grenoble, founded in 1884. 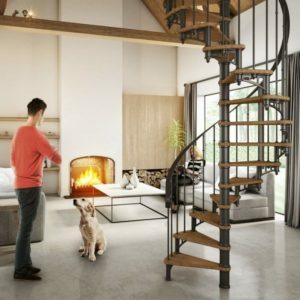 Unfortunately, little is known about this company. At that time, located on Rue Ampere, the company had an area of no less than 10,000 m2, of which 8,000 m2 covered. 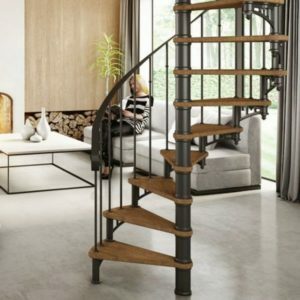 Jay & Jalliffier specialized in metal works, such as elevators, shutters and stairs. 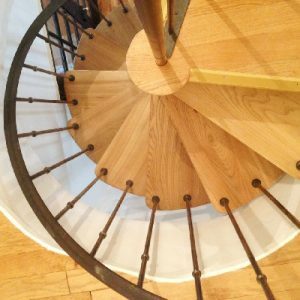 This staircase is made of (oak) wood, cast iron and steel and exists in two variants: standard and luxury. 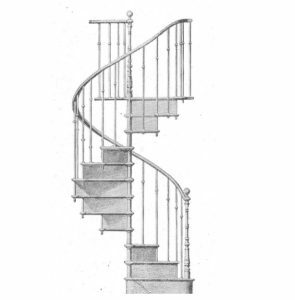 The luxury variant has an extra cast iron element which gives the staircase even more charm. 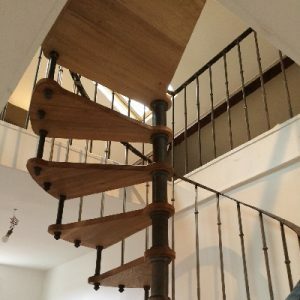 The diameter of the staircase is 120cm. 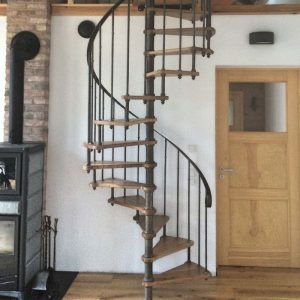 The staircase needs 12 steps to the circle. 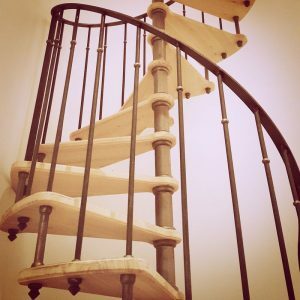 The total weight of the staircase can be calculated by simply multiplying the number of treads with 12kg. 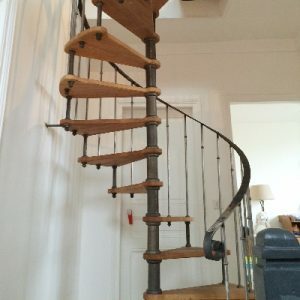 The staircase is delivered in raw loose parts without finish. 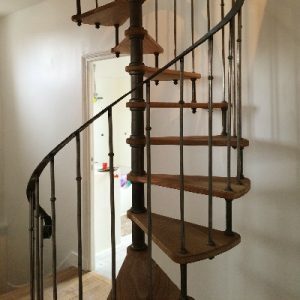 It is up to the client to choose the desired finish: either to keep the raw appearance of the wood and metal or to wax or to paint. A (metal) wax or matt paint (anthracite grey or black) can be ordered and delivered with.